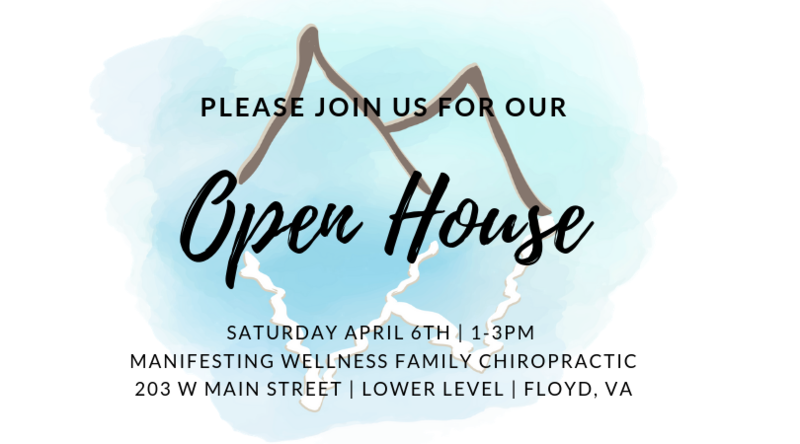 Join Dr. Christina Alba on April 6th, 2019 for an Open House to celebrate the opening of Manifesting Wellness Family Chiropractic. From 1-3:00 pm, enjoy light refreshments and kids crafts while getting to know Dr. Christina and the family wellness work she does in her office. Door prizes & special discounts available at the event.